The truth is, it’s very rare that a search firm is incapable of filling a position. We have the resources to identify top talent in any industry and any location, for just about any position. If your search firm isn’t getting back to you with A-candidates, there’s probably a reason your job order isn’t taking top priority. In the recruiting industry, a vast majority of orders are taken on a contingent basis. That is, you only pay the search firm if you hire one of their candidates. While this may seem like a huge benefit, it also comes at a cost. With a contingent partnership, the firms you are engaging are not guaranteed to get paid for the effort they put into your search. If this is the case for your search partnerships, there are a few things you can do to help your firm find the right candidates for your organization. Today, I want to fill you in on a few recruiting industry secrets that will help make your partnership with any search firm more productive. Scenario One: You’re not seeing enough candidates. I’ll be honest. Unfortunately, in the recruiter’s eyes, your job probably isn’t worth the time it takes to do a thorough search. And that’s probably mostly due to amount of time and detail you gave to the initial job order intake call. When a hiring manager does not show a sense of urgency, it tells the recruiter there is a good chance it will take more time than its worth to fill the position. 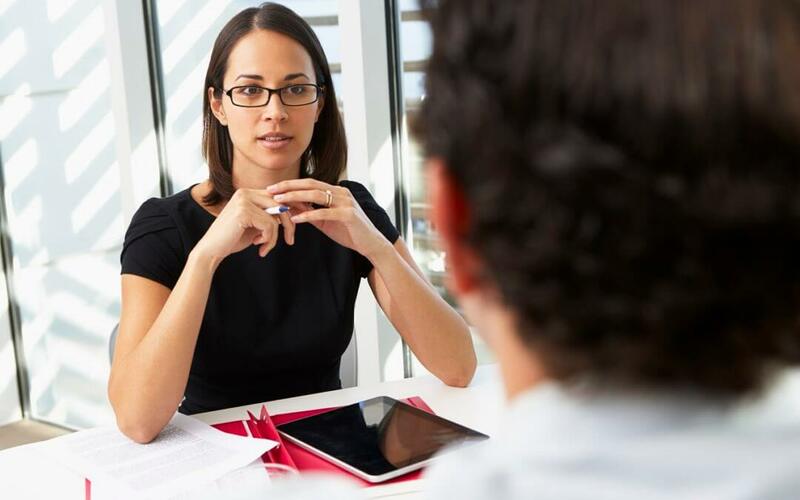 As a hiring manager, you should provide the recruiter with interview slots proactively, and allow them to plug in candidates. Check in with them weekly for updates and to provide feedback to show you are actively engaged in your part of the search. The easiest way to ensure your job gets a recruiter’s full attention is to retain the recruiter. By putting some money up front on a retained search, you guarantee you are a recruiter’s top priority. Not only because he is getting paid, but also because he knows your time is committed to the search. In the end, the goal of both parties is to find a specific candidate and get them hired. Period. You’re going to pay a fee anyway, so it may make sense to pick a partner and commit to a retained search to improve your results. Scenario Two: The resumes you’re seeing are weak. In this case, there’s a good chance we’re not actually on the same page with the search. Give your recruiter all of the tools needed to do the job correctly. Treat him or her as an extension to your internal recruiting team by letting them speak directly with the hiring manager, tour the facility, etc. When an external search firm truly knows the position and company they are working for, it helps them to find candidates who are not only a better fit, but also who are more interested in the job and prepared for the interview. It’s not uncommon for my firm to receive an email that says “Please send candidates,” with a job description and salary range and nothing else. Although this may seem like it saves time initially, it results in a recruiting sending candidates who are a poor fit. Scenario Three: These candidates aren’t even interested/qualified/available for the opportunity. In this case, it’s the same issue – your recruiter doesn’t really understand the opportunity. They’re blindly submitting candidates who just don’t make sense for your position, hoping they will get lucky and have one who takes the job. In this case, your recruiter is just chasing a fee. To avoid this problem, take the time to discuss each candidate with your recruiter, and ask to set up weekly debrief calls on candidates to talk about the personality, career interests and background of all candidates. The right search firm will be more than just another vendor for your organization. The best recruiting firms will walk away from one or two orders to instead develop lasting relationships with priority clients. Committing to working together as collaborative partners will speed up the process and allow you to hire better candidates.